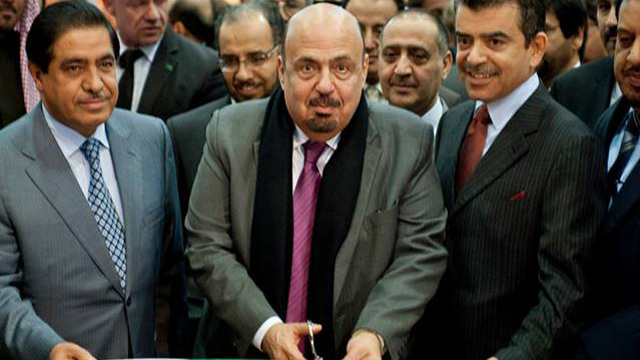 The Kingdom, located at the Arabian Peninsula, conjoins tradition and modern spirit - religious values coexist with progress and high-tech. 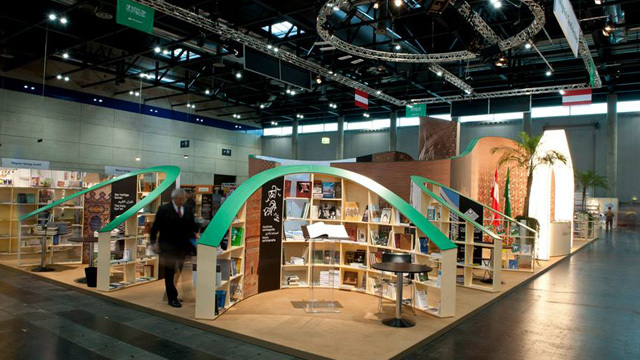 Both, the past and the present are reflected and transformed into an 300 square meter booth at the Vienna book fair. 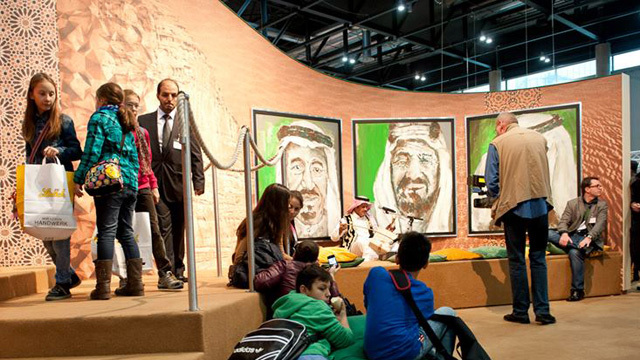 The exhibition space designed by peyote implies the shapes and forms of Saudi Arabia and combines it with multimedia elements. 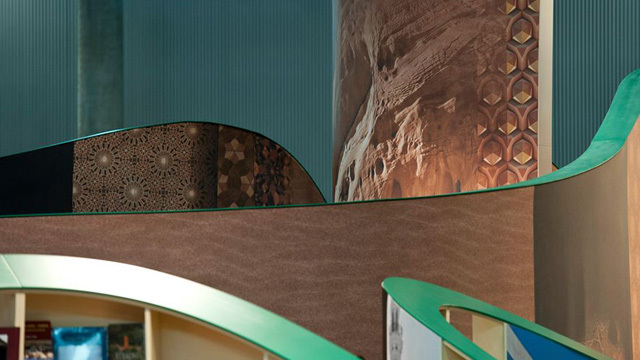 Inspirations for the composition were the narrow passes in arabic towns and villages, traditional ornaments and the curve as a basic shape of sand dunes. 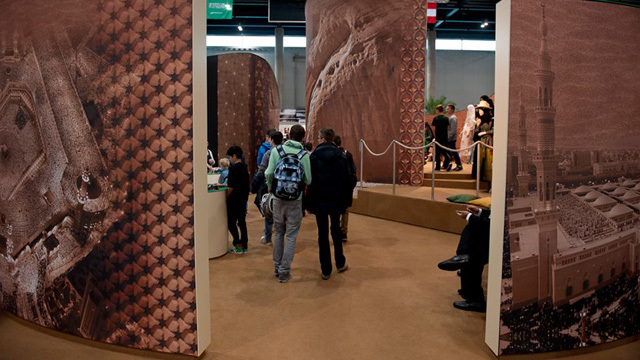 The booth is subdivided in different sections trough impressive high curvy walls according to sand dunes. 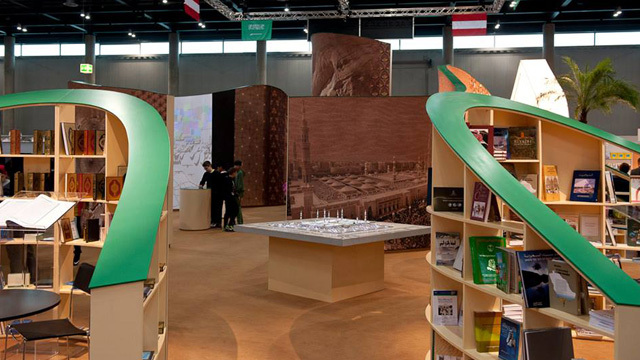 A number of book shelfs, presentation elements for calligraphy and books, interactive iPoints™, chill-out areas and a kids corner invite the visitors to stay. 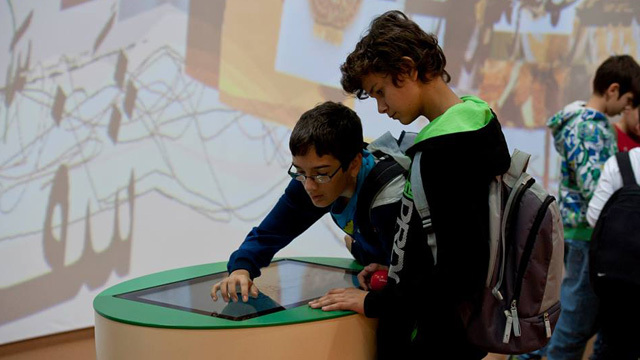 As a transmitter of cultural exchange, a "culture explorer", with an interactive associative database was installed. 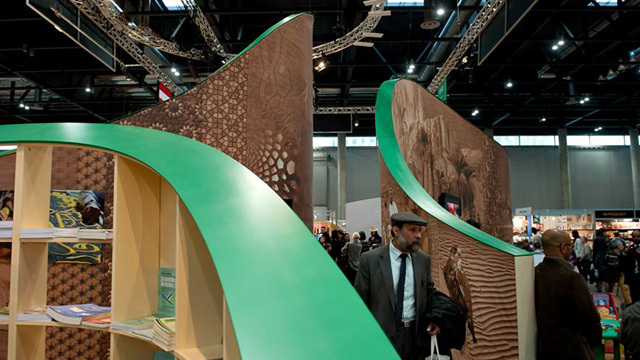 On an interactive screen the visitor can pull a german term with arabic roots through a virtual archway. 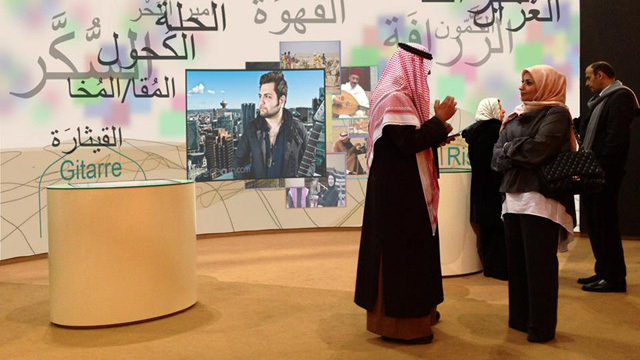 Hereupon the definition is shown in arabic writing and speech on a 15 x 3 meter wide screen and supplemented with videos and photos. 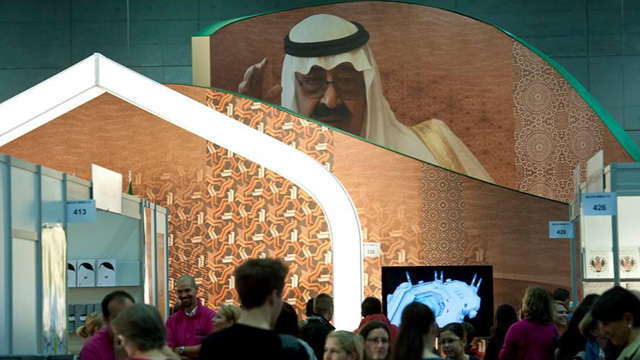 peyote was assigned to draft, design and realize the booth with an interactive media installation by the Saudi Arabian embassy. 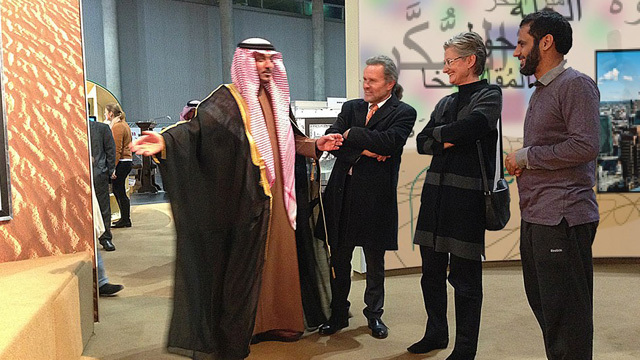 During the opening ceremony Austria´s minister of education Claudia Schmid, the Saudi Arabian minister for higher education, Abdel Aziz, and the ambassador of Saudi Arabia, Mohammed al Sallou, visited the booth.